Rumors are circulating that Take 2 have put out a private casting call, presumably looking for voice artists for the new Grand Theft Auto game (which we presume to be GTA 5). In it are a number of character profiles, one of which in particular stands out... A character listed by the name of James Pedeaston. Although not a major character, and probably not one you'll remember, James has been present in previous GTA games, notably Grand Theft Auto IV. He was on the "WCTR" radio station talking about his desire to make love to young tribal boys. 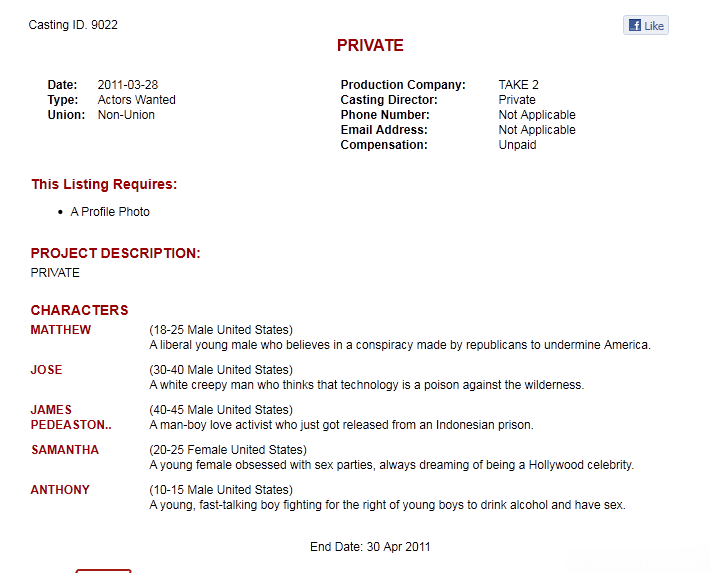 Here is a screenshot of the casting call in question, which was posted today and can be viewed at ActorsPages.org (although bear in mind the website no longer (?) displays Take 2 as the production company). The end date for applications is the end of April this year, which could still point to a game release before the end of the year. Whether these characters will be radio personalities or actual characters in the game remains to be seen, but if this information is correct it provides us with some useful clues towards the game's location (Hollywood - LA once again) and time setting (modern day - or close to it). Aw hell naw! GTA V better not be set in my city! Someone from Rockstar, guess who he's, told me that this casting call is fake like a piece of cake! R* need to let us all know when n where it's going 2 be because as soon as it's out, ALL media records will be broken, bye bye Black-Ops!!! BTW, GTA5 NEEDS to have a San Andreas map on a PS3 / Next-Gen console as that was the best of the lot!!! 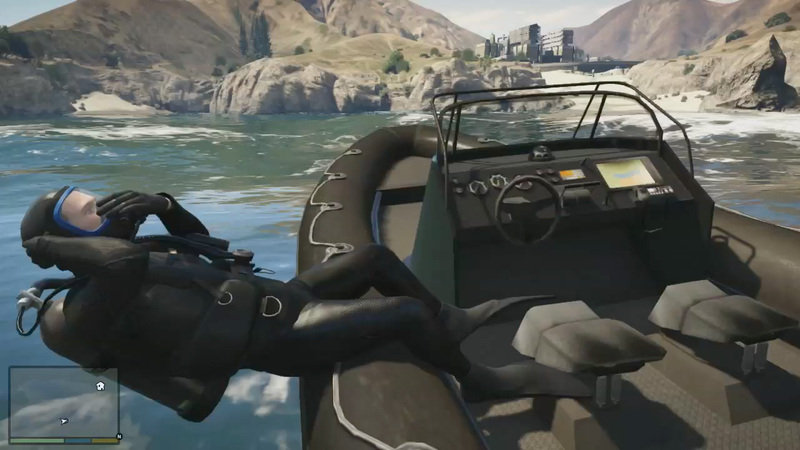 how about: GTAV:the worlds only; details: the setting should be alll around the FUCKEN world!!! CARCER CITY, that's what I been saying! Whole other city that has been mentioned within the GTA universe at least once that I can think of, sounds totally dark and shady, and it hasn't even been touched. I always pictured it as like Detroit on crack. You know, more crack. R* have been researching around LA so the game will probably be some around there. Maybe San Andreas map. What I think they should do is that you can travel between places like liberty city and San Andreas. There actually is a clue about this on R* website coz there is a ticket for Nico from Liberty city to San Andreas. I think this game will be awesome however they do it so I just can't wait! Sounds more like radio personalities to me.